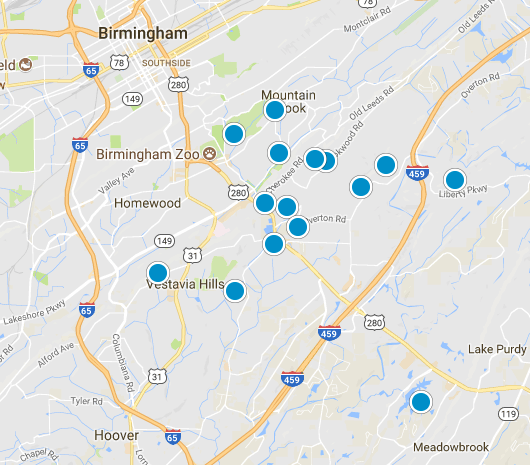 Homewood has over 25,000 residents and is part of the Birmingham-Hoover metro area. It is situated in a valley region within the Appalachian foothills. The topography includes a mix of forests and open land with hills that reach up to 600 feet above the valley. The region attracts young, educated families who are searching for alternatives to Atlanta and comparable thriving urban centers. Homewood has a humid subtropical climate that’s distinctly southern with long summers and mild winters. Homewood has five public educational facilities. These include three elementary, one middle and one high school. Edgewood Elementary School has a GreatSchools ranking of 9, and the other schools rate a solid 8. Homewood has more teachers, counselors and librarians available per student than the national average. Almost 60 percent of the adult population has a four-year college degree. You’ll be pleasantly surprised at the lively ambiance of this upscale suburb. Explore cultural institutions, fine dining establishments, chic shops, downtown’s bustling business center and hot nightspots. Residents also have easy access to all of nearby Birmingham’s attractions. These include the Alabama Jazz Hall of Fame, Birmingham Botanical Gardens, Jemison Park Nature Trail and numerous museums. Homewood comprises three neighborhoods: Beckham, Soho and the Park at Beckingham. Almost 25 percent of the housing in Homewood dates back to the 1950s. This makes the area ideal for residents who enjoy homes with character and like to live in established neighborhoods. The median home value is approximately $298,000, but you can get a three-bedroom condo for under $100,000. Property values have increased by 7 percent in the last 12 months and more than 15 percent over a 10-year time span. Listing courtesy of ARC Realty Gallery Brokers. 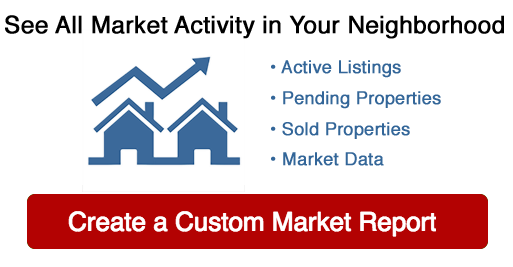 Listing courtesy of RealtySouth-Over the Mtn. Listing courtesy of Brooks Hall Real Estate & Design. Listing courtesy of ListedItMyself.Com Real Estate Group LLC. Listing courtesy of Simpson Properties Group.